Since 1885, carousers on the North Shore have been gathering at the Woolwich Pier Hotel to sink a bev or two and catch some glistening harbour views. But, after a huge reno in October 2018, the pub looks a fair bit different. The Pier, as it's known around town, has scored slick new design and a modern new menu inspired by French and Japanese cuisine. If you're a longstanding Pier drinker, you're in for a surprise. While the building has lost none of its heritage elements, the place is now a whole lot fancier. 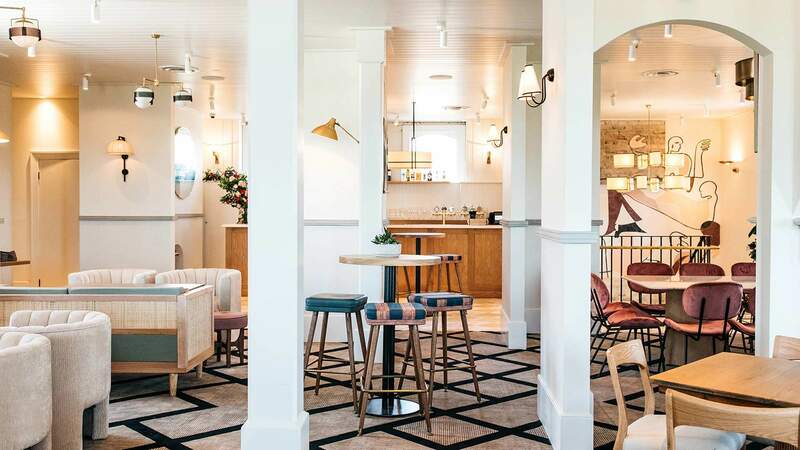 Alexander & Co., the firm responsible for venues like Watsons Bay Boutique Hotel, the East Village and Stanton & Co, has looked after the interiors, giving them a Sydney seaside stamp. Everywhere you go, you'll notice splashes of marble, leather and velvet. What was the unassuming dining room is now a European brasserie called The Eatery, and the bar has been transformed into The Parlour. For those looking to lay their eyes on the water, the wraparound balcony overlooking Cockatoo Island still has plenty of room among its 70 seats. Alternatively, you can follow the spiral staircase up to The Social, an indoor dining room that also boasts harbour panoramas. In keeping with these dramatic changes, head chef Glenn Tabudlo has launched a new menu. Start with small plates, such as tuna tartare with wasabi-ponzu dressing and rice crackers, before moving onto decadent mains, like Yamba prawns with braised kale, pont-neuf potatoes and lobster sauce Americaine, or crispy skin miso salmon with squid ink risotto, salmon roe, sesame mayo, togarashi, edamame and enoki with ponzu. Lovers of the chicken pot pie — don't panic. The much-adored staple is still available, as is a bunch of The Pier's tried-and-tested classics. Even though it has some fancy new furnishings, it is still a local pub, after all.